Hi LBB'ers! We have some special promos to keep you warm this winter! Stay tuned! Play $1,500 Winter Warmer Guaranteed Pot games at CyberBingo on Saturday, January 13th! Play for a guaranteed cash prize of $500 every game. Playing as Top of the Hour games in the New Year’s Bingo room from 8:00PM EST on Saturday January 13th, there are three great chances to win a share of $1,500 in guaranteed cash prizes. These exciting Winter Warmer Guaranteed Pot games will play at 8:00PM EST, 9:00PM EST and 10:00PM EST and have a card cost of only $1.50 a card. Enjoy these exciting bingo games and you’ll get more chances to win with an amazing Buy 3 Get 2 Free offer. That’s an unmissable 5 cards for the price of 3! More info on the bingo website! Spin the reels in January and you can win a fantastic $1,000 cash prize! Climb the Winter Slots Tourney leader board to claim your share of $2,500 in prizes. There are fantastic prizes for the top 20 players who spin and win the most between January 1st and January 31st, simply spin and win on any of the selected slots and your winnings will be instantly added to the tourney leader board. The more you win, the bigger the prize of up to $1,000 cash for our Winter Slots Tourney winner. More details on Cyber Bingo website! For your chance to win this £1000, join the Golden Galaxy every day in January to play in the Roll On qualifying games at 2pm, 6pm & 10pm. Win the 1 Line, 2 Lines, Full House or the Roll on Full House prize and you will win up to 6 free tickets into the 'New Year, New You' game that will play in the Sweet Treat room on Wednesday January 31st at 8pm. Win the Full House in this game and you will take away £1000!! You can win up to 48 free tickets into the New Year, New You game and with tickets at just 5p each in the qualifying games you would be mad to miss out!! 1 Line: 5,000 Candy Club points. The New Year, New You promotion will run in Golden Galaxy from the 1st - 30th January 2018. The New Year, New You qualifying games will play daily in Golden Galaxy at 2pm, 6pm & 10pm. The New Year, New You £1000 game will play in the Sweet Treat room on Wednesday 31st January at 8pm. Bingo Hollywood is giving away £2,000 every other weekend in January! Each time you bingo during the New Year New You Team Event you win sparkling points for your team. 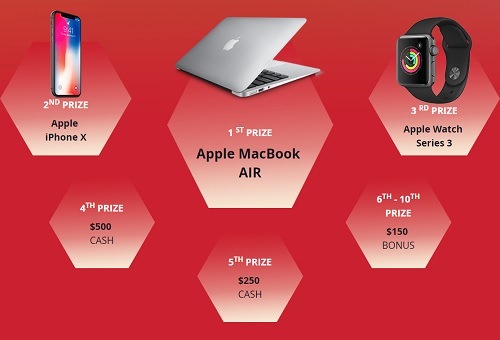 The team collecting the most points will win and share the 1st place prize. Every bingo earns 10 points for your team! For further details visit Bingo Hollywood website. Deposit minimum $50 per day between 15th January to 30th January and get 1 point for every dollar wagered on bingo. Each day the top five players will qualify for the grand final taking place on January 31st in the Final Room between 6PM to 12 AM EST! Bingo Hollywood is giving away £2,000 every other weekend in February! Get on a list and join Winter Olympics Team Event! Each time you bingo during our Winter Olympic Team Event you win snowy points for your team. The team collecting the most points will win and share the 1st place prize. Winter Bingo Session games will play in conjunction with all your favorite USA Bingo room games every Sunday and Monday night between 8:00PM EST and 10:00PM EST in February. Each one of the Winter Bingo Session game will play once an hour between 8:00PM EST and 10:00PM EST in the USA Bingo room on Sunday and Monday nights and has a card cost of only $1.00 a card. With a fantastic Buy 3 Get 2 Free offer on all cards, these Winter Bingo Sessions are the perfect way to stay warm this winter. 20 Free Spins on Fluffy Too. 24 Free Fluffy50 Bingo Tickets, for your weekly chance to win £50. 6 Free Cocktail Party Bingo Tickets, for your monthly chance to win £200. Min £5 deposit, 4 times per calendar month. 20 Free Spins on Fish & Chips. 12 Free Cocktail Party Bingo Tickets, get ready for a £200 win on the 26th. Min £10 deposit, 4 times per calendar month. PLAY5 must be used to claim the play bundle with a minimum £5 deposit. PLAY10 must be used to claim the play bundle with a minimum £10 deposit. Free Spins will be awarded automatically with a maximum win of £2 slot games bonus. Free tickets for Fluffy50 will be added manually Sunday to Thursday for the next available game. Free tickets for Cocktail Party will be added manually Sunday to Thursday for the next available game. Game Bonus funds must be wagered x80 to be transferred to your real money balance. Maximum £400 real funds can be released from games bonus.